Lock in a great price for Villa Ostria – rated 9.8 by recent guests! Set in Vlikhós, this air-conditioned villa features a barbecue. 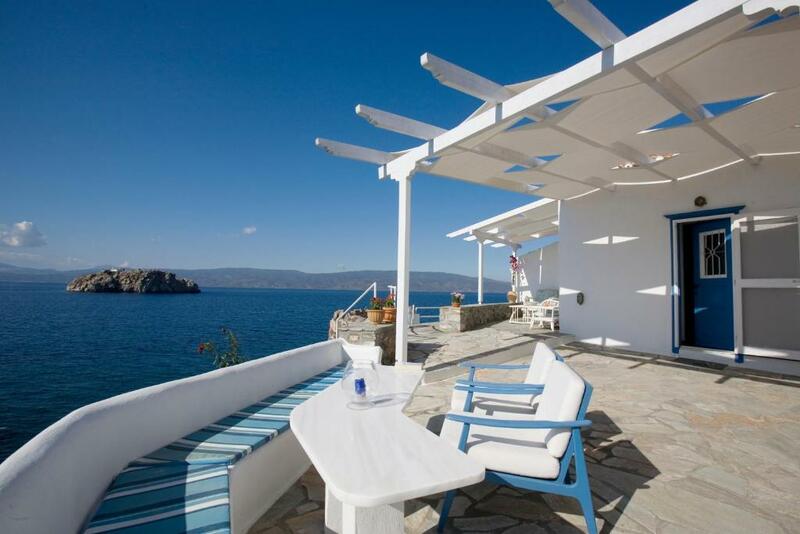 The property is 1.6 mi from the scenic town of Hydra and features views of the sea. Free WiFi is available throughout the property. A dishwasher, an oven and a microwave can be found in the kitchen. A flat-screen TV is offered. Other facilities at Villa Ostria include a terrace. 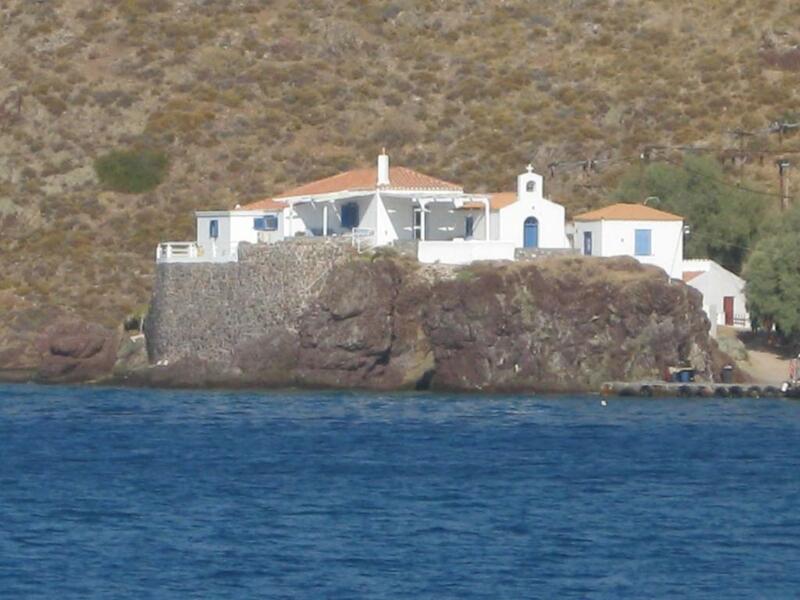 Within 1.1 mi, you can visit George Kountouriotis Mansion. A number of activities are offered in the area, such as snorkeling, diving and fishing. The port of Hydra is 1.2 mi away. This property also has one of the top-rated locations in Vlikhós! Guests are happier about it compared to other properties in the area. 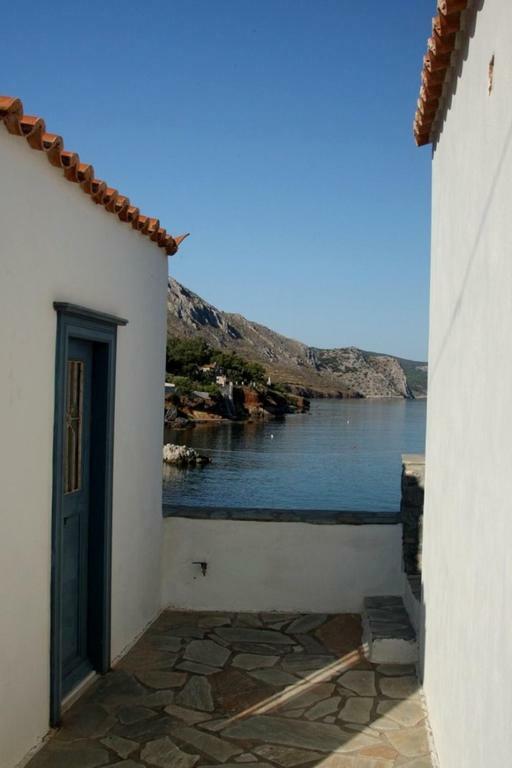 This property is also rated for the best value in Vlikhós! Guests are getting more for their money when compared to other properties in this city. When would you like to stay at Villa Ostria? This villa features a balcony, washing machine and oven. Perched on the rocks right above the sea, with balconies facing the sunset and a beach just a few yards away, Villa Ostria must be the perfect holiday villa... A traditional Hydra house which has been passed down through the generations, villa Ostria has been lovingly restored by the present owner. 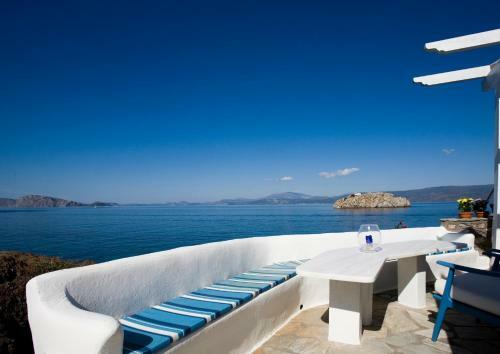 The result is a comfortable, quietly beach villa that you'll never want to leave! The house has two bedrooms, a good sized living room with a sofa bed for 1 person, refitted kitchen and two bathrooms. 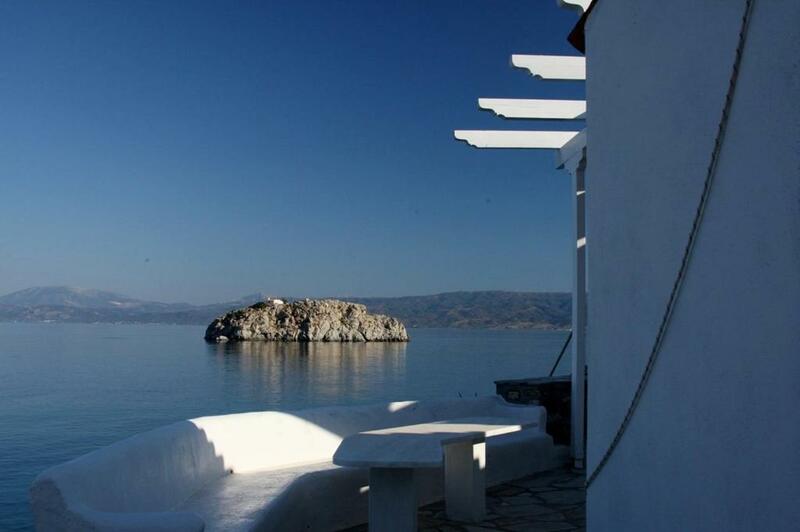 The main attraction, and the place where you'll likely spend much of your day, is the huge terrace that curves around the front of the house, and which offers unimpeded views of the sea, the island of Dokos, and the sunset. The villa is equipped with a television, DVD and wifi Internet. Getting There: There are frequent hydrofoils from Piraeus to the island (several per day). Getting Around: Vlichos is a 25 minute walk along a coastal path from Hydra town, or you can take a taxi boat from the landing stage just below the house. There are no cars on the island, but donkeys are available to carry heavy luggage etc. 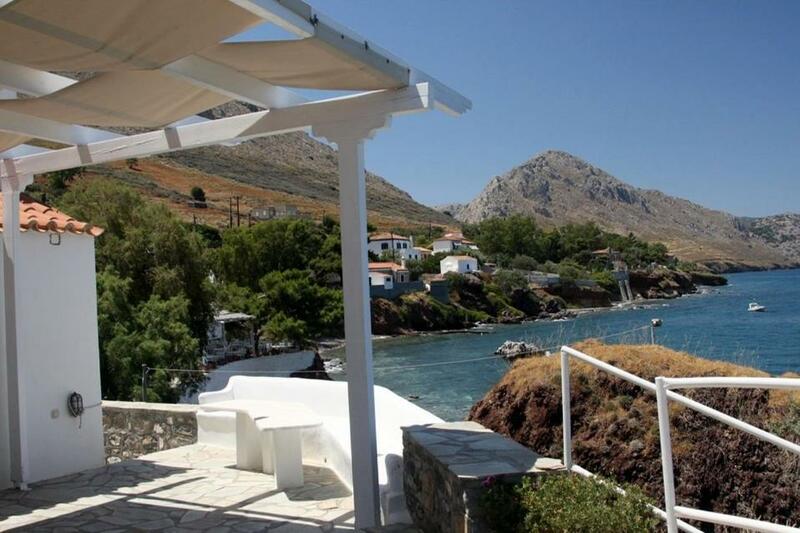 Vlichos is a 30 minute walk along a coastal path from Hydra town, or you can take a taxi boat from the landing stage just below the house. There are two restaurants and the beach is organised. House Rules Villa Ostria takes special requests – add in the next step! Villa Ostria accepts these cards and reserves the right to temporarily hold an amount prior to arrival. Please inform Villa Ostria of your expected arrival time in advance. You can use the Special Requests box when booking, or contact the property directly using the contact details in your confirmation. 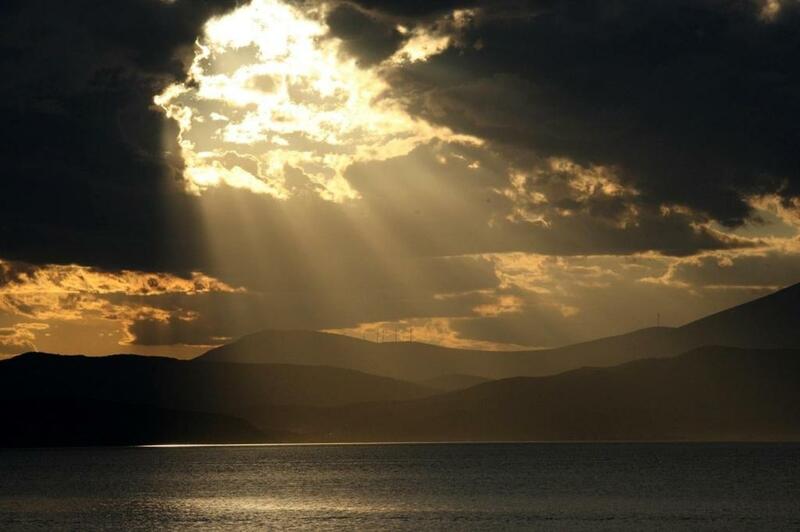 Beautiful sea themed property in a wonderful location with incredible views all around. Two tavernas on the doorstep, one which was superb, as well as thought fully equipped kitchen and barbecue. Owners went out of their way to be helpful, including arranging before we arrived for shopping to be delivered, providing binoculars, torches and snorkels. While the property is wonderful in every respect, I would hesitate to recommend it for families with very young children. The coastline is steep and protective barriers are low. This is common around the island and necessitates vigilance if your children are prone to climbing up on things, but too young to grasp the danger of falling. Perched on a cliff right on the sea, the views from Villa Ostria are breathtaking in every direction. The extensive outdoor seating options at the front and back of the house take full advantage of the mountainous landscape and expansive, sparkling Aegean Sea. Behind the property is a pebble beach with calm, crystal clear water. To the front is a small pier where water taxis can bring/collect you, above which sits a pleasant taverna with good food and spectacular views. Slightly up the hill back from the water, sits Enalion, a slightly more sophisticated taverna, that also provides loungers and food service to the pebble beach in season. 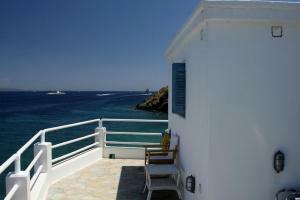 The villa is comfortable and well maintained and stocked including a bbq, snorkels and beach towels. Vickie and Nikos, the owners, are incredibly accommodating and easy to reach. Everything you need for a relaxing holiday is in place. The lively, tasteful and picturesque port of Hydra is an easy 35-40 minute walk on exceptionally well maintained paths along the coast through other little villages or along farmers' fields in the island interior. You can also take a 10 minute water taxi and marvel at the immaculate houses that cluster the coastline. In Hydra, I can recommend the cafe The Pirate Bar, the cheap and cheerful Kai Kremmydi for gyros or souvlaki and the Cool Mule for ice cream. 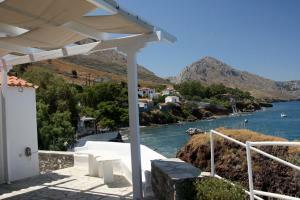 In Kamini, which is 20 minutes from the villa, Pefkakia and Stefanos + Anna are wonderful places to eat or drink. Overall, Villa Ostria is a true gem on a sublime island.